Rainier Coffee Roasting Lab works in three branches of coffee business: coffee roasting, coffee equipment, and catering. I try to convey to customers the coffee roasting allowed us to enjoy and feel the taste and aroma of real coffee. The rounded-corners logotype brings a warm human touch to the lab. 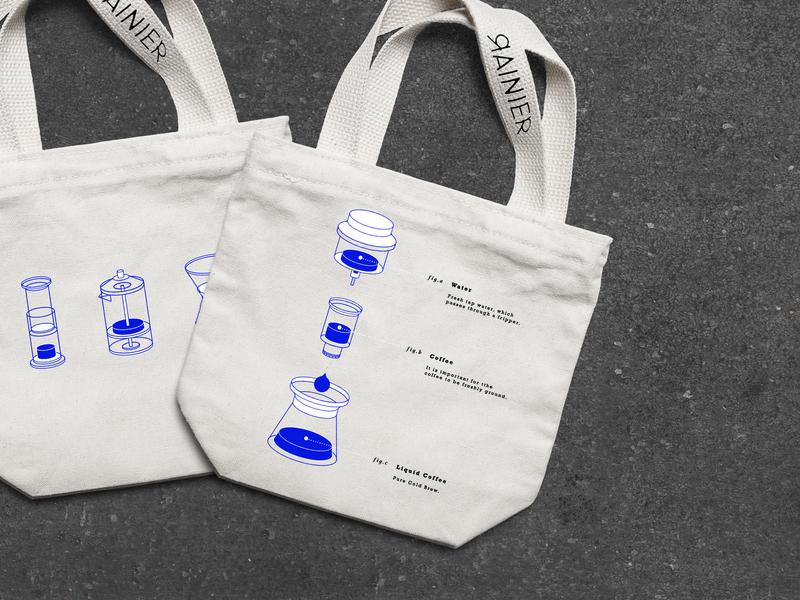 Illustration and the dotted line between texts make a connection to the “scientific” processes happening in Rainier coffee lab, which bring energy and young feeling to it, also creating the most visually attractive brand for coffee lovers.